Thank you for your interest in auditioning for the 2018 Mario Lanza Institute Scholarship Auditions. This year’s auditions will award three prizes: first ($2,000), second ($1,500), and third ($1,000). The auditions will take place at The Settlement Music School in Philadelphia on Monday, October 15, 2018 and Tuesday October 16, 2018 from 10:00 am – 5:00 pm. The three finalists will then perform at the Mario Lanza Ball on Sunday November 11, 2018 and receive their awards. Finalists must perform at the Mario Lanza Ball to receive a scholarship. Applications must be received no later than October 6, 2018 and can be obtained by clicking here (Application). The Settlement Music School is located at 416 Queen Street. Parking is available on the school grounds or on the street. Age limit: The age limit is 21 through 28 years of age. You must provide as part of your application a photocopy of a driver’s license, birth certificate, or passport as proof of age. In addition, there is a two-time limit for past winners of the Mario Lanza Institute Scholarship. No previous first place winners of this award are permitted to apply. Singers already performing leading or comprimario roles with a major opera company are ineligible for this competition. Repertoire guidelines: You must prepare three opera arias and one song. The operatic arias should be from the standard repertoire. The song can be any one of your choosing such as an operetta or Broadway show tune or an art song for example. One of the four selections submitted must be in English. You will choose the song or aria you wish to begin with; then the judges may ask for another piece from your list. Please choose your first piece carefully to show your vocal ability, as there may not be sufficient time for a second piece to be heard. Accompanist: An accompanist is provided at no additional cost. If you wish to bring your own accompanist, you are welcome to do so. Application fee: A non-refundable application fee of $50.00 US must accompany the application. 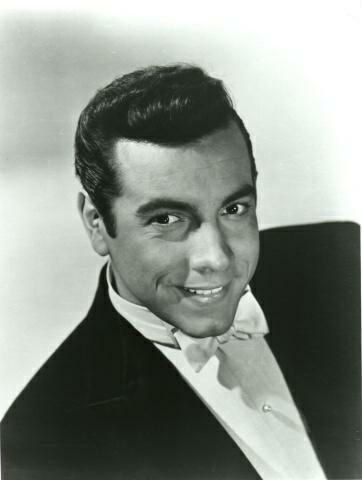 It can be paid by check or money order (payable to The Mario Lanza Institute). No audition will be scheduled until the application fee has been received. Late applications will be processed only if there are sufficient time slots available. Late applicants, once approved for an audition, must pay the application fee in cash at the time of the audition. Application deadline: Applications must be received no later than Saturday, October 6, 2018. The Mario Lanza Institute is administering this year’s Mario Lanza Scholarship Auditions and no members of The Mario Lanza Institute will participate in the adjudication process. If you have any questions, please contact me by e-mail (wjronayne@optonline.net) or phone (718-338-8662).